Nvidia: Next GeForce graphics card won't arrive for "a long time"
Do my ears deceive me? Did Nvidia’s CEO Jensen Huang just say it will be “a long time” until the next GeForce GPU release at this year’s Computex show in Taiwan? What about all those Nvidia RTX rumours about a new Founders Edition card being available next month and a supposed proper reveal scheduled for August? I’m going to need some time to process this – perhaps with the help of Nvidia’s newly-announced robot platform pal, Issac. RPS: So Isaac, Nvidia just held their Computex keynote event in Taiwan. There was a lot of talk about Nvidia’s energy efficient Max-Q gaming laptops were doing well, and that gaming is now bigger than film yadda yadda yadda, but not very much about actual concrete graphics card news. Tell us what happened. RPS: Yes, yes, Isaac. Congrats on the whole reveal and being born and what-not. You do, I must admit, sound pretty incredible. But as much as I’d love to talk more about AI and Nvidia’s frankly bonkers HGX-2 contraption for hyperscale datacenters that fuses high performance computing and AI into a single unified architecture, I’d like you to tell us more about what Mr Huang said about the next GeForce graphics card not being here for a long time. RPS: But right now, a lot of people have been saying that Nvidia’s new GeForce cards will arrive by autumn at the very latest. Does that count as ‘a long time’? A long time suggests another year, two years maybe. Are we really going to have to wait that long? Isaac: Even my eight high-end ARM cores and nine billion transistors cannot process a satisfactory answer for you, human. RPS: All right, let’s try a different tack. 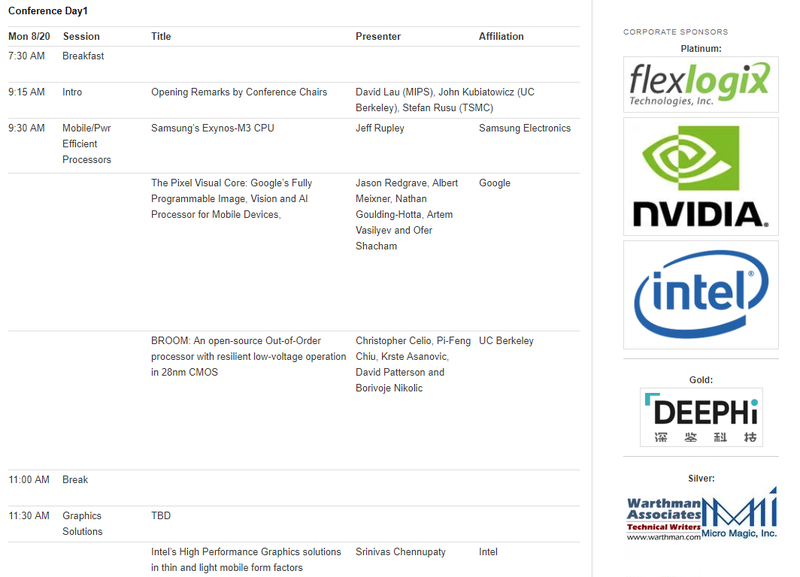 Someone else asked about the Hot Chips talk Nvidia’s going to give in August as well, didn’t they? Where Nvidia’s due to talk about its next mainstream GPU? RPS: Wait, wait, wait, hold up. That entire Hot Chips talk is now just TBD? RPS: Those cheeky – *cough*. So what did Mr Huang say in response? RPS: I…I don’t know what to say. RPS: My soul has been crushed. Isaac: Do not believe everything you read on the internet, human. I predict it will take 8000 engineering years for you to recover, the same length of time Master and his team spent creating Xavier, my cold robot heart. RPS: T-thank you for your time, Isaac. I think I need a lie down. Isaac: You are most welcome, puny human. Tagged with Computex, graphics card, graphics cards, Hardware, Nvidia, Nvidia Turing.